“By the powers!”, or rather “By the Powers!” is a mild Aussie oath that I first struck when I had the privilege of working at “ground level” in forestry with axe, mattock and brush-hook in gangs of men, many of which had gone through The Great Depression and/or one or two of the Great Wars. “The Powers” referred, not to some ancient pantheon of gods, but to the Powers Brewing Company whose notable product, like others of the John Barleycorn variety, resembled the colour of human urine thus giving rise to the Anglo-Aussie slang term for beer – piss. Doubtless the amber fluid from the pub inspired many seemingly miraculous occurrences, disasters and visions e.g. of the beatific or, in extremis, of the pink elephant type. Nevertheless, I gradually came to discover and believe in the actual, very real power of the human product. I suppose my first inkling had been as a child listening to my mother and aunts chatting over baby things such as the great values of breast milk, layettes, perambulators, high-chairs, potty-training and of course the all-pervasive nappy – its fitting, removal and cleaning. Unbelievably I learnt that young mothers, to improve their complexion, often rubbed wet nappies on their faces. The old forestry men told a similar story of how, when work was obtainable only infrequently, they used to urinate on their hands to keep them tough, a function I later discovered also worked to toughen bare feet. Later my understanding was bolstered by the discovery that almost all face creams contain chemicals either identical or very similar to a major constituent of urine. Talking to some of the old ANZACs – they used to visit schools to tell us of their experiences – I was amazed to find that human urine played a part in defence against chlorine gas attacks in the trenches before gas masks became available. Soldiers were taught to breath through cloth soaked in urine to protect them against injury. It wasn’t until I’d done some chemistry that this was at least partly believable since ammonia is a biological breakdown product of urea and could combine with chlorine to neutralise its effects. This was probably initiated by the memory of former urine sales to tanneries where the ammonia production was used to tan leather in London and other big cities where daily collections were made. Later I learnt that human urine was usually sterile, especially in men, and that endorphins concentrated overnight in the bladder. These bio-chemicals it seems are quite effective against allergies so that some medicos advocate imbibing a little of the first morning pee for therapeutic purposes. Indeed the Roman poet Catullus facetiously insisted that some Spaniards cleaned their teeth with it. However, one of the main benefits of urine is in its high nitrogen content. 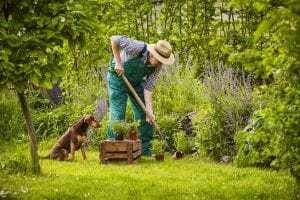 I am not suggesting here that we should adopt the complete ancient and long-standing Chinese peasant practice of using all human excrement in the garden – just the piss. 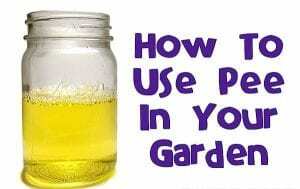 Whilst some may resile from spraying their lettuces and cabbages with diluted urine it can reasonably be used without qualms on such plants as lawn grass, bananas, fruit trees and in compost bins, so saving on expensive commercial, perhaps other organic, fertiliser. It also is effective in repelling some native grazing animals and can be mixed with dilute (20%) plastic paint for stabilisation purposes with/out eggs, blood and bone or fish fertiliser and sprayed over newly-established plants. So, far from trying to “Take the piss” I hope I have given you some new (very) basic ideas. Gympie & District Landcare Group Inc.